A walkway through the tree canopy has opened in the arboretum at Cape Town’s Kirstenbosch NationalBotanical Garden. Known as the “boomslang”, it runs for 130 metres through trees such as hard pear, Cape saffron, wild stinkwood and myrtle quince. 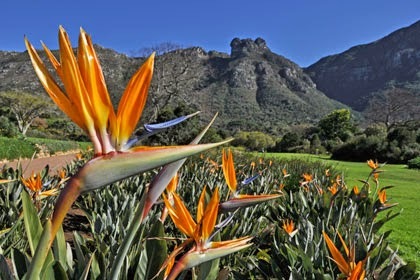 Initially controversial, the project was planned to mark last year’s centenary of the garden, which lies at the foot of Table Mountain’s east flank, but unforeseen construction problems delayed its opening.